The socialist government of Venezuela convinced its citizens to give up their guns in 2012, promising them it would mean peace, prosperity and a sharp reduction in violence. Fast forward six years and the nation has some of the highest murder and gun crime rates in the world, worse than many war zones, and Venezuelan citizens now regret giving up their right to bear arms in the face of a government that has turned tyrannical. As Venezuelan society continues to fall apart under the brutal socialist dictatorship of President Nicolas Maduro, many citizens are now expressing words of warning – and resentment – against a six-year-old gun control bill that forcefully stripped them of their weapons. “Venezuelans didn’t care enough about it. The idea of having the means to protect your home was seen as only needed out in the fields. People never would have believed they needed to defend themselves against the government,” Javier Vanegas, 28, a Venezuelan teacher of English now exiled in Ecuador, told Fox News. “Guns would have served as a vital pillar to remaining a free people, or at least able to put up a fight,” Vanegas explained. Since April 2017, at least 163 pro-democracy protesters in Venezuela have been murdered by the Maduro dictatorship. Venezuela serves as an example of how gun prohibition actually encourages gun crime. Fox reports: Under the direction of then-President Hugo Chavez, the Venezuelan National Assembly in 2012 enacted the “Control of Arms, Munitions and Disarmament Law,” with the explicit aim to “disarm all citizens.” The law took effect in 2013, with only minimal pushback from some pro-democracy opposition figures, banned the legal commercial sale of guns and munitions to all – except government entities. Chavez initially ran a months-long amnesty program encouraging Venezuelans to trade their arms for electrical goods. That year, there were only 37 recorded voluntary gun surrenders, while the majority of seizures – more than 12,500 – were by force. A former gun store owner inside Venezuela – who told Fox News he has now been relegated to only selling fishing supplies since the ban – said he can’t sell any type of weaponry – even a slingshot – and underscored that even BB ammunition and airsoft guns are only issued to police and military officers. The punishment for illicit carrying or selling a weapon now is 20 years behind bars. 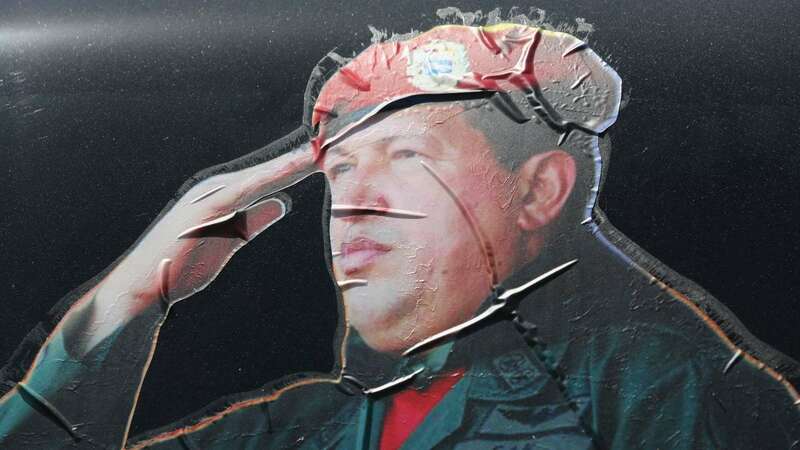 A sticker on a car window honors former Venezuelan president Hugo Chavez near the military barracks where Chavez is entombed on March 4, 2014 in Caracas, Venezuela. Prior to the 2012 reform, there were only around eight gun stores in the entire country. And the process of obtaining a legal permit to own and carry was plagued by long wait lines, high costs and bribery “to make the process swifter” at the one department allowed to issue licenses, which operated under the umbrella of the Ministry of Defense. “Venezuelans didn’t care enough about it. The idea of having the means to protect your home was seen as only needed out in the fields. People never would have believed they needed to defend themselves against the government,” Vanegas explained. He said it didn’t take long for such a wide-eyed public perception to fall apart. “If guns had been a stronger part of our culture, if there had been a sense of duty for one to protect their individual rights, and as a show of force against a government power – and had legal carry been a common thing – it would have made a huge difference,” he lamented. Since April 2017, almost 200 pro-democracy protesters in Venezuela – armed mostly with stones – were shot dead by government forces in brutal retaliation to their call to end the oppressive socialist regime. The once oil-wealthy nation has continued its downward spiral into financial ruin, extreme violence, and mass human rights violations. An estimated three million Venezuelans have been forced to flee since 2015. 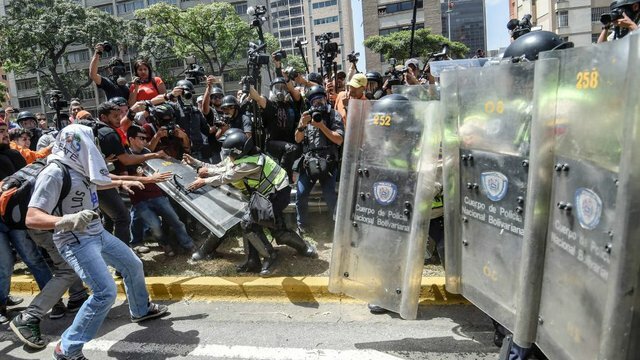 “Venezuela shows the deadly peril when citizens are deprived of the means of resisting the depredations of a criminal government,” said David Kopel, a policy analyst, and research director at the Independence Institute and adjunct professor of Advanced Constitutional Law at Denver University. 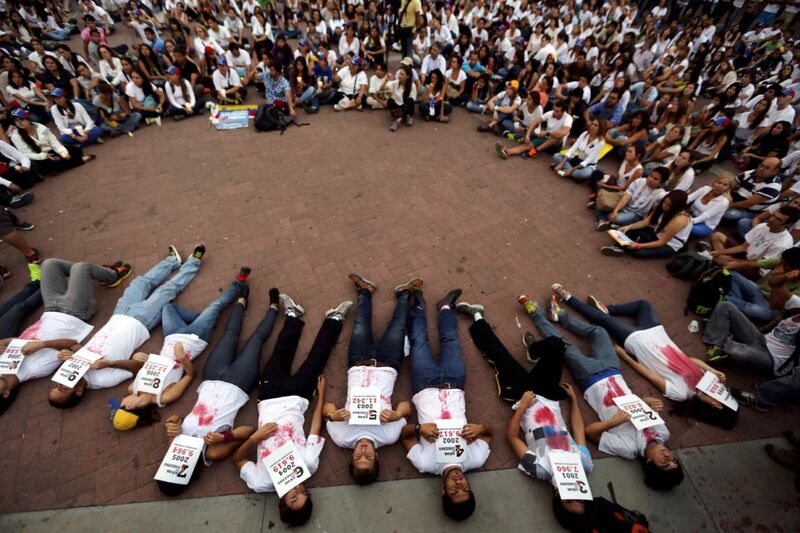 Demonstrators lie on the ground holding statistics about the people murdered by the government since they disarmed the population. 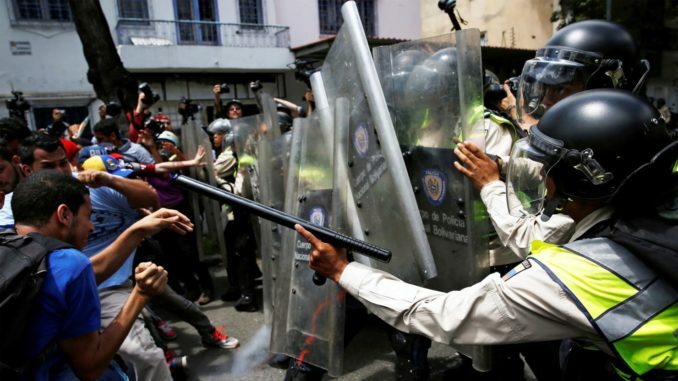 Although the bill was sold to the population as a hardline effort to improve security, and sharply reduce crime, many now point to Venezuela as a case study for how gun prohibition can actually produce the opposite effect. The violent crime rate, already high, soared. Almost 28,000 people were murdered in 2015 – with the homicide rate becoming the world’s highest. Compare that, according to GunPolicy.org – an international firearms prevention and policy research initiative – to just under 10,000 in 2012, and 6,500 thousand in 2001, the year before Chavez came to power. The total number of gun deaths in 2013 was estimated to 14,622, having steadily risen from 10,913 in 2002. While comprehensive data now goes unrecorded by the government, in September this year, Amnesty International declared Venezuela had a murder rate “worse than some war zones” – 89 people per 100,000 people – and three times that of its volatile neighbor Brazil. Much of the crime has been attributed by analysts to government-backed gangs – referred to in Spanish as “collectivos” – who were deliberately put in place by the government. So while Venezuelan citizens were stripped of their legal recourse to bear arms, the “collectivos” – established by Chavez when came to power – were legally locked and loaded. Deemed crucial to the survival of the socialist dictatorship, the “collectivos” function to brutally subjugate opposition groups, while saving some face as they aren’t officially government forces, critics contend. Eduardo Espinel, 35, who serves as a representative for the rapidly growing Venezuelan population in the Colombian border town of Cucuta – having fled his ailing nation two years ago under the threat of being kidnapped by local gangsters – said the law had proliferated the violence by allowing the collectivos to freely and legally shoot and kill.